Here we are in mid November with just 3.5 weeks of school until the semester break and I head home for a month. 3.5 weeks filled with 8 exams, packing up my room, and moving yet once again. When I moved to this island, almost 7 months ago, I had every intention of staying in my original room for the entire months I would be here. Shortly after school started I decided that would not be happening because I needed to move and was lucky enough to find a wonderful newly renovated studio apartment in the same complex. A room I thought I would remain in thru December of 2014, however, I was wrong yet once again. Last weekend my landlord informed the tenants that rent will be increasing 12% in January and we will have an electrical allowance above which we will be paying. My electric bill would run me about 130 dollars a month. So I decided I would be moving again and on Monday afternoon I will be signing a lease at Marriott Residencies where I shall remain thru December 2014. While I am not looking forward to packing up room I am really excited to live at the Marriott where I will have an oven, a washing machine and dryer, a couch, a view of the ocean, and a nice fitness center. I will post pictures once I see my room and get to see the view. With Thanksgiving around the corner I am thankful that God opened up this opportunity for me. I am also thankful for the ability to attend this school and really absorb the information I learn. These past 3 weeks have been filled with the most information I have learned yet in a single block with still another week to cram in more information. 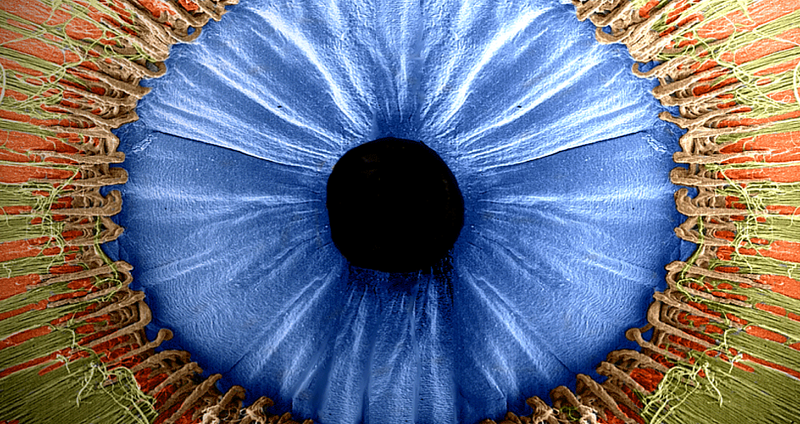 Information such as the beauty of God’s creation as seen in this photo of an eye when looked at from the back. I remember as a little girl having 2 Thanksgiving dinners. One with my mom’s family and one with my dad’s. A time when I would see family and everyone was there. We would sit at long tables and pass food around and have a great time making memories. Eventually, this changed and I would only go to one dinner. Then in 2011 Larry passed away and that Thanksgiving there would be one less plate at the Thanksgiving table for the first time in 7 years but God had a different plan I my mom and I were on this island visiting UMHS and eating a lobster tail and coconut shrimp Thanksgiving dinner. Now this year there will be a plate short at another Thanksgiving table after my Grandpa passed away in July and I will once again spend Thanksgiving on this island. Time passes. Life changes. But still there are things to be thankful for.